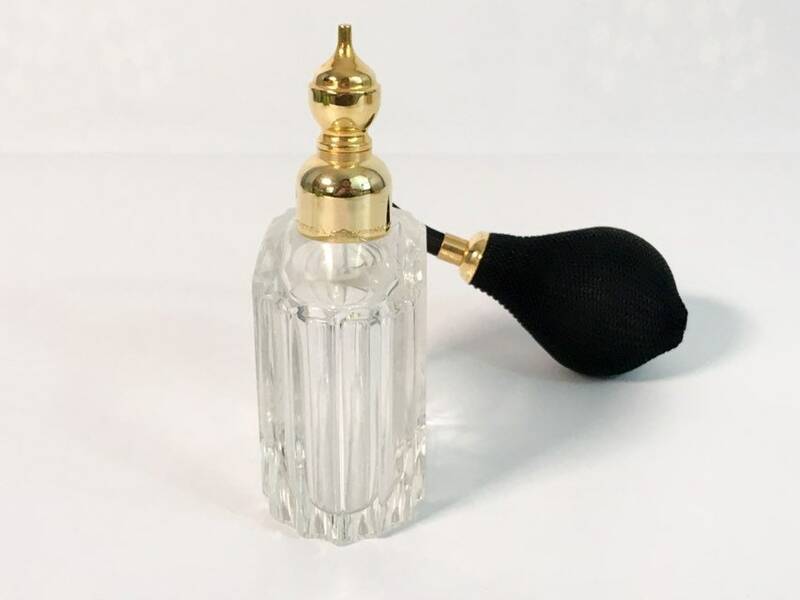 A vintage beautiful and very feminine Marcel Franck Perfume Atomizer. 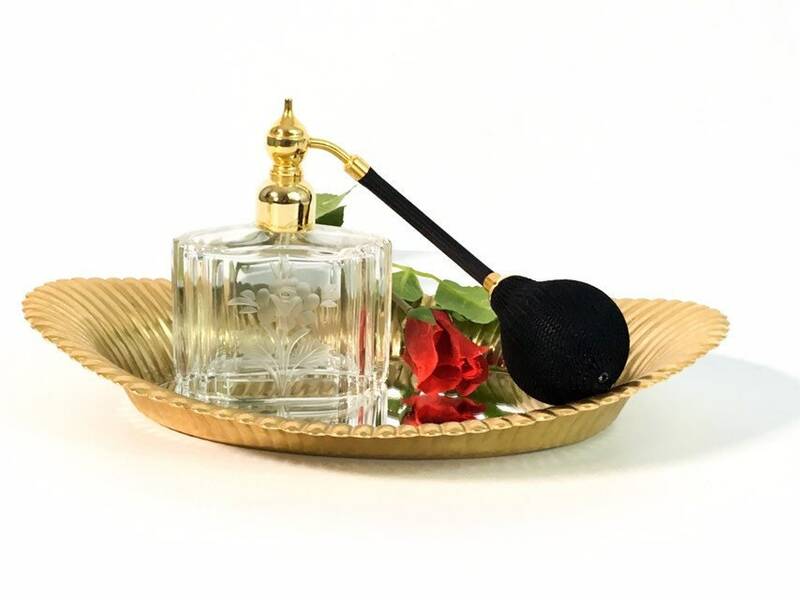 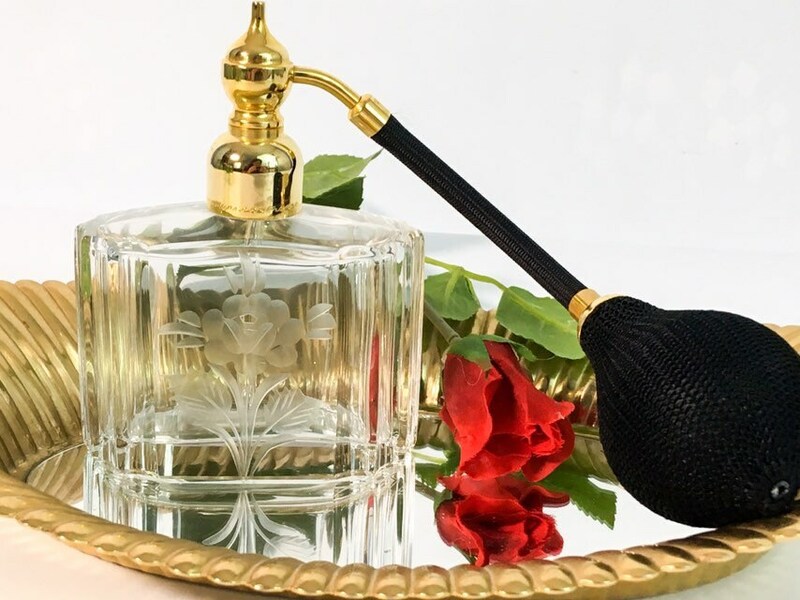 Dress up your dressing table with this great etched perfume bottle and tomizer. 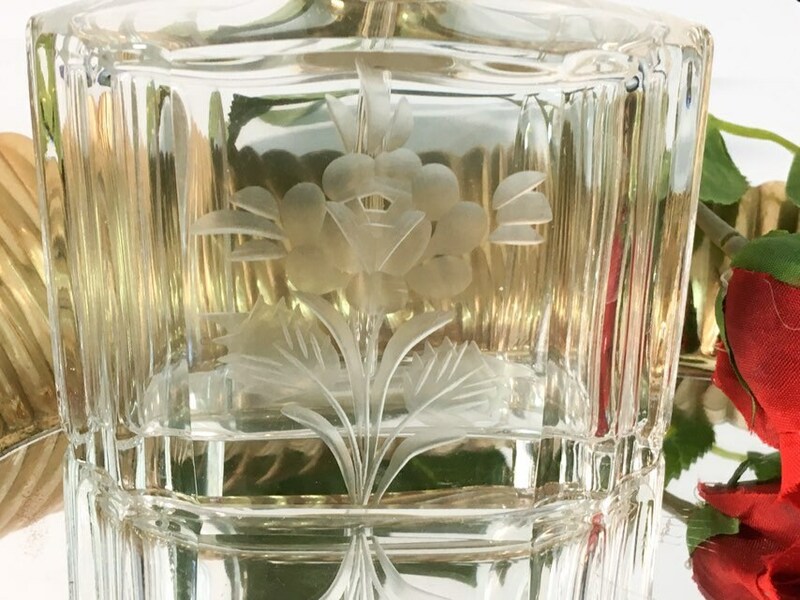 The rounds rectangular shaped bottle has an etched rose and leaves on the front. 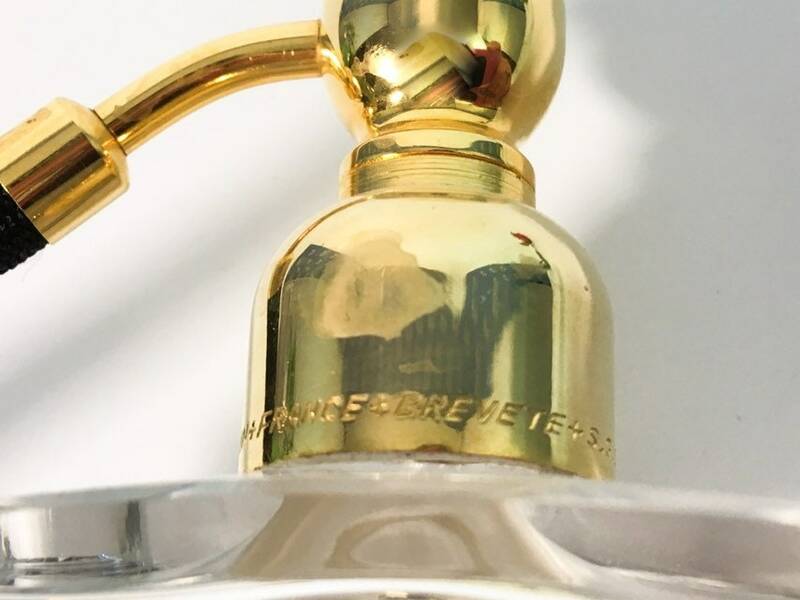 At the ends of this bottle there are six panels that form the rounded ends of this bottle. 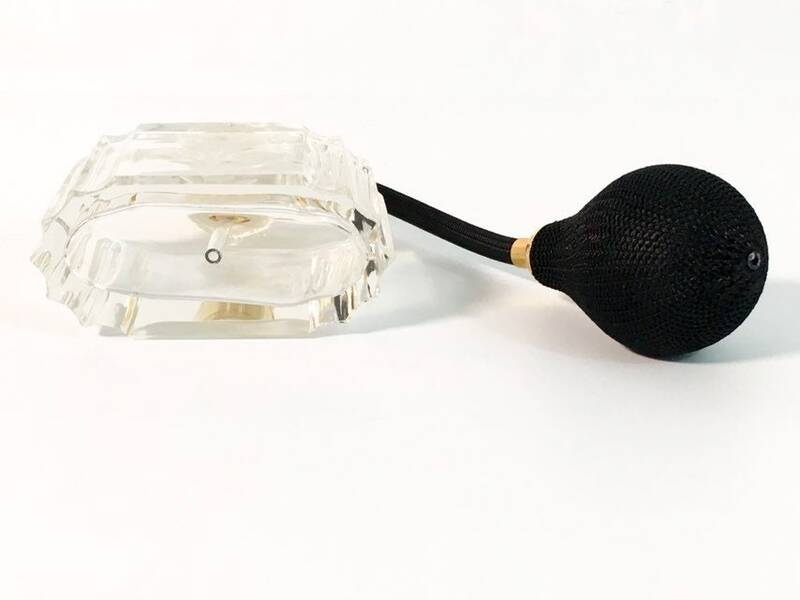 The back of the bottle is plain crystal with no etching. 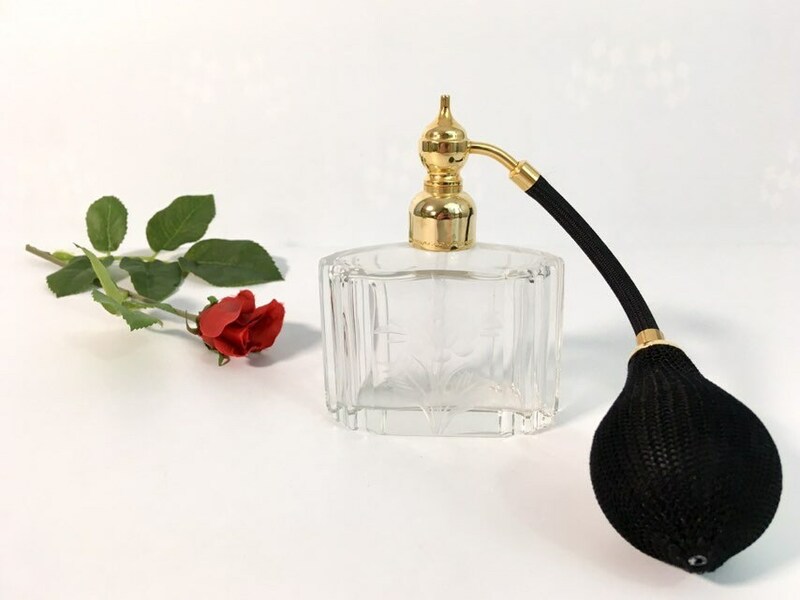 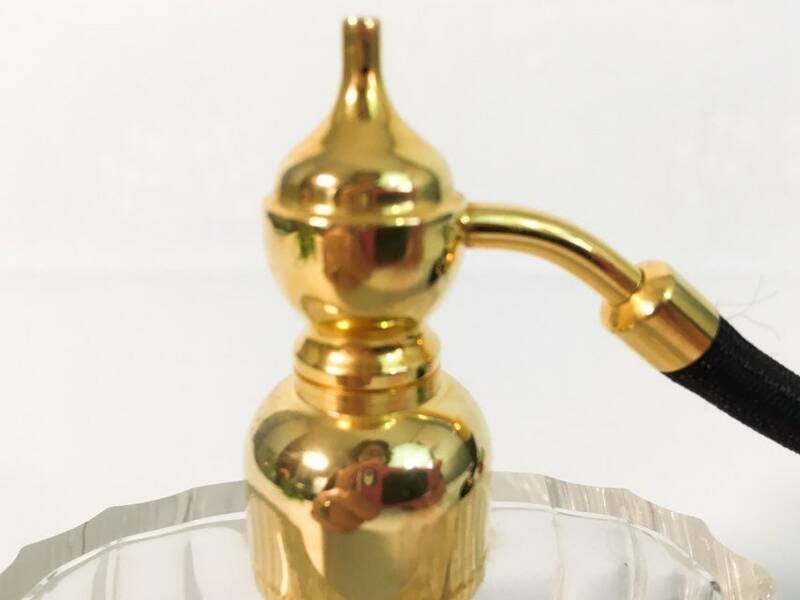 This retro perfume bottle is in very nice vintage condition with no chips or cracks in the glass. 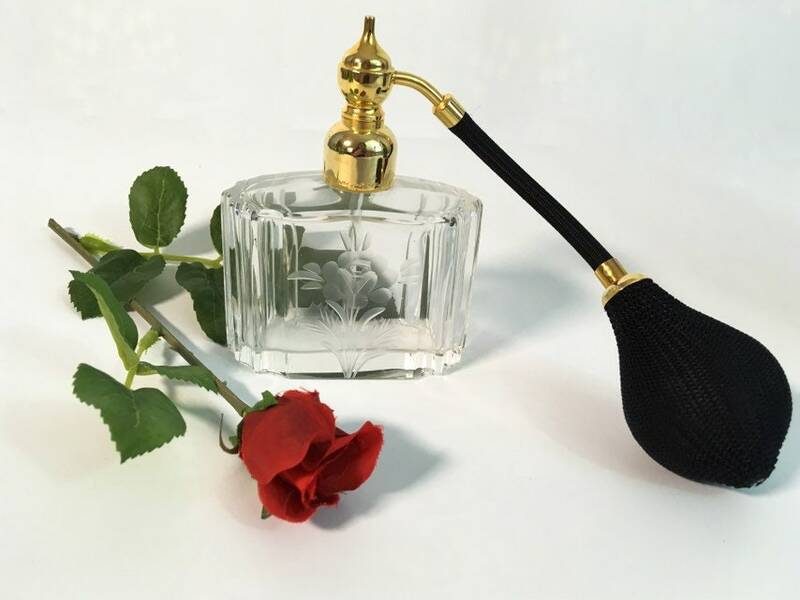 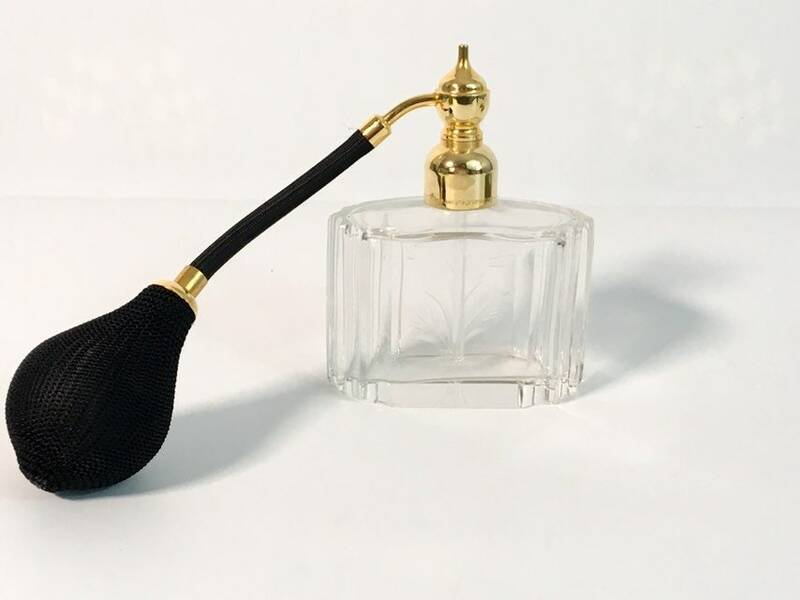 The black fabric Atomizer bulb is in working condition - when squeezed it pushes the perfume out of the tiny hole in the top side of the Atomizer.